Are you kidding Bill? This music needs these people who are led by folks who by and large have very little understanding of this genre. Many of these people still think after forty years of evidence to the contrary that making this music sound like rock will “save” it. Thanks Bill for having the courage to state the obvious to these people and saying it directly to their faces. I like your style. Bill’s remarks harkened back to something Tommy Eliff of the Mighty Mojo Prophets told me in an interview some time back. That article and interview appeared in the May edition of this ezine. I thought it would be timely to revisit this story and give you an update. I also think you might find the discussion I had with Tommy and Mitch “Da Switch” Dow back in April timely as well. The sound of blues music coming out of a small juke joint on Pacific Coast Highway in Sunset Beach, CA, was a beautiful thing to hear on this Sunday afternoon. 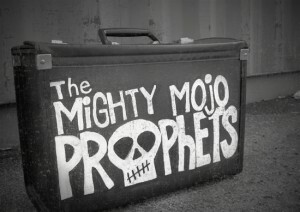 It was the Mighty Mojo Prophets that were preaching the good word to an enthusiastic congregation. The Mighty Mojo Prophets had surfers, bikers and folks who just happen to love good music, dancing to the blues at the beach. Sunset Beach is a small surfside community that has retained a small town feel and is fighting for its life much like real blues music is trying to survive while being annexed by blues-rock. Sunset Beach is facing the same potential fate, as its big, surly neighbor Huntington Beach is trying to occupy the funky little village next door. They no doubt will turn this oasis of fun into a shopping mall food court by the sea, which is what they did to their own town a couple of decades ago. Between the intrusive, confrontational policing and restrictive zoning laws, live music in Sunset Beach will likely become a thing of the past. For an afternoon anyway, real live blues music and Sunset Beach held on to each other and spent an afternoon rejoicing in their collective soulfulness. People having fun in public, as of now, is still legal in this small unincorporated enclave of Orange County, sandwiched between Huntington Harbor and the Pacific Ocean. That’s exactly what people did at Mother’s Tavern on this Sunday a few weeks ago. The Mighty Mojo Prophets were the ring leaders of all this frivolity and their Mojo worked on everyone. They played a mix of originals off their brand new Rip Cat Records release and some covers that ranged from Big Joe Turner and Louis Jordan jump blues to Bo Diddley and Muddy Waters Chess classics. Everything this band does, whether it is in the recording studio or live, is done with a crisp professionalism that is not always seen in bands at this stage of their careers. This audience expressed their appreciation by letting their hair down and pitching a wang dang doodle all over the joint. The 1,200 or so residents of Sunset Beach, who are not only fighting for their right to party but occupation at the same time, seem well versed in the art of twisting off and getting down. 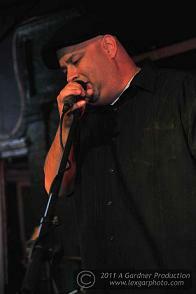 The Mighty Mojo Prophets are made up of Tommy “Big Son” Eliff on vocals. His partner in crime is Mitch “Da Switch” Dow on guitar. 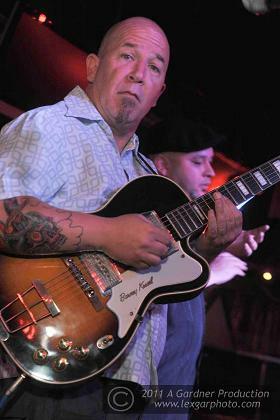 They were joined by veteran Long Beach based bassist Scott Lambert and drummer Johnny Minguez who hold down the swinging rhythm section. Long time L.A. area harp player Michael Fell, the newest member of the band, rounds out the lineup. 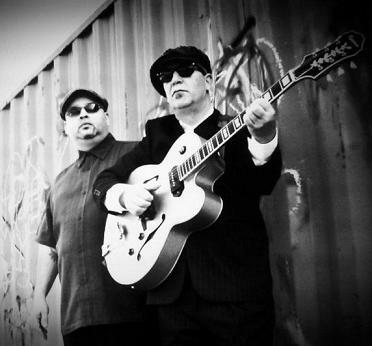 The west coast scene which has been one of the most dominant forces in the blues all over the globe has affected native sons like Eliff, Dow and the rest of the Mighty Mojo Prophets as well. I caught up with the band’s front man and engaging vocalist Tommy Ellif as well as the bands co -founder and guitarist Mitch Dow. David Mac (DM): Do you remember the first time you heard blues music? Tommy “Big Son” Eliff (TE): Definitely! I first heard blues coming out of a home of a man who lived in my neighborhood in the community of Compton, California. I used to pass this man’s house on the way home from elementary school. He had old blues records blasting out of his front door. He would sit on this big front porch, drink beer, smoke cigarettes and chill out to blues music. He would let me sit beside him in the shade and we would listen together. That’s where I first heard those old Jimmy Reed and B.B. King records. I dug the sound immediately. I just loved those old records…still do. My friends were into hip hop. They didn’t get blues music. I didn’t care. The man’s name was Art Gamboa. We became lifelong friends. He just passed away a few months ago. I’ll always be grateful to him for passing the music down to the next generation. I hope the Mighty Mojo Prophets can do the same thing in our own way. DM: When I was too young to go to clubs I used to listen to blues on the radio. Do you remember any of the old blues radio shows back in the day? TE: Absolutely! In those days I could hear the great Johnny Otis show. He played the records of the west coast masters. It was great. He played everything from Big Joe Turner to Floyd Dixon…all the greats. He had a show on Monday nights for years on KPFK. Later on it was Bernie Pearl who opened my ears. The great new (at the time) west coast cats like the Hollywood Fats Band, Junior Watson, Rod Piazza and James Harman and William Clarke could be heard on Pearl’s Saturday and Sunday afternoon program coming out of Long Beach State University on KLON 88.1 fm (now KKJZ ). DM: Great show the other day at Mothers. TE: Thanks Dave that was a blast. I just wish we could find more rooms to play. DM: I know things are tough out there. What in your mind is keeping great bands like the MMPs off the stages out there? TE: It is the “Keepin’ the Blues Alive!” crowd. They have a very negative impact on the musicians they claim to support. If you keep hollering “We are trying to keep the blues alive” you are implying that the blues is dying. This is not the message a living, breathing, hard working blues man like myself wants to hear. 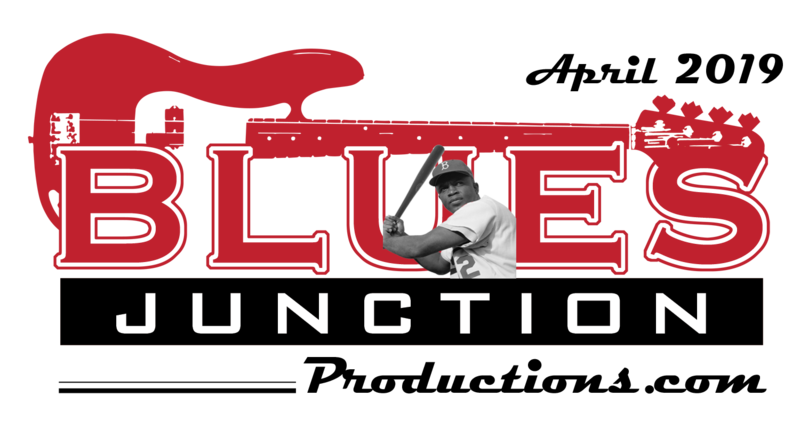 Not only that, the ring leaders in these cliques, especially here in Southern California, will support any kind of music as long as someone calls it blues. They cheapen the music by presenting lousy bands and say, “Hey check these guys out.” No wonder people get turned off by the blues. People who should know better put on sh*tty jams for free and get sh*tty musicians who pass themselves off as real blues cats to play for nothing. It hurts all of the guys who take this music seriously and try and present a quality product to the people. There is a big difference between the part timer or some person on a trust fund doing this kind of music as a vanity project and real players. It is bad enough we have to compete with karaoke. Mitch “Da Switch” Dow (MD) Most of the bands now just want to plug in and make noise. With such low quality musicianship, why wouldn’t a club rather have a DJ? It is no longer viable to be a professional musician. We do it regardless, but we’re suffering regardless. DM: I feel for you guys. (MD) We put a lot of time and money in this to be prepared and write good music, but the people are conditioned to frequent clubs with no cover and listen to band who is willing to play for tips. We’re treated like busboys most of the time where we play. DM: Thanks guys, hopefully real blues fans will continue to come out and support great musicians like you. 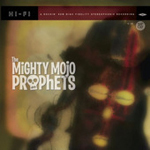 If there are those out there that want to hear some great new original material served up in an exciting, fresh and yet deeply rooted manner check out The Mighty Mojo Prophets 2011 self titled release on Rip Cat Records. The album features another star on the rise, Alex “Lil’ A” Woodson on harp. He is on loan from Southern California’s own Lil’ A & The Allnighters. There is even a track featuring the legendary Junior Watson on guitar. Fellow Long Beacher White Boy James wrote and sings on one song. San Pedro Slim contributes harp on another. For all the great contributions from these top shelf guest musicians, the album has a very cohesive band sound. The album was co-produced by another Long Beach mainstay Johnny Mastro and Rip Cat Records founder Scott Abeyta. The entire album is a very satisfying blend of original jump blues, shuffles with the occasional ballad thrown for a slow dance or two. I’m no prophet but it is sure bet that the future of the blues includes the Mighty Mojo Prophets headlining big rooms and slotted alongside their mentors on the international festival circuit. 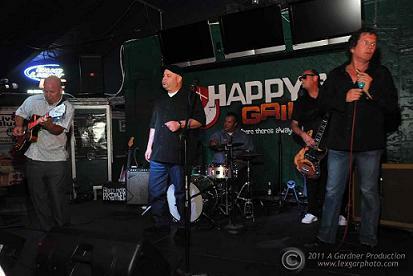 In the meantime catch the band in funky little Juke Joints up and down the coast. As long as we still have funky little joints. Note: Since this story was written before Sunset Beach lost their bid to remain part of unincorporated Orange County. On their last day on the job the Orange County Sherrif’s came by Mothers Tavern and bid a tearful fairwell. They shared hugs and kisses with the customers and employees. Earlier that week The Huntington Police walked door to door to let the residences of this peacefull little enclave know that they were “taking over”. They have since been into Mother’s numerous times to tell the band to turn down the music. Sunset Beach is appealing the annexation to the state of California. Stay tuned.